Despite an ideal plot for a blockbuster, 'Neerja' may not have a dream run at the Box-Office! Based on one of the most inspiring real-life incidents in the recent history, Neerja the film promises to be a supremely enriching cinematic experience. Many would be aware of the phenomenon called Neerja Bhanot – the 23 year-old pretty airhostess, who amazed the world with her mind-blowing courage and daredevilry, when she displayed absolute selflessness by saving multiple lives on the PAN AM Flight 73, on the fateful day of 5th September, 1986! She is the braveheart whose role the talented Sonam Kapoor will be seen portraying in the upcoming biopic. Such was the courage and presence of mind displayed by Neerja that, she became the youngest person to receive the Ashok Chakra and also won international recognition and admiration. 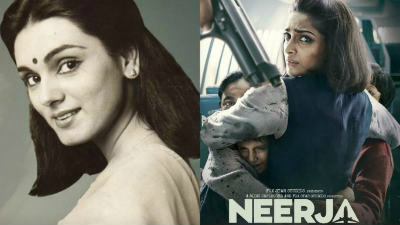 This is one of those films which should not be judged by the money that it makes at the Box-Office and should instead be celebrated and appreciated for covering the spirit, fortitude and the essence of what will always be remembered by people as Neerja Bhanot – the woman who refused to bow down in front of what was wrong, and that angel who displayed the finest brand of humanity and selflessness! Directed by Ram Madhvani, this film will be releasing on February 19. Let's find out what the stars indicate about the film's fortunes at the Box-Office. 'Neerja' will be releasing with Pisces Ascendant. Lord of the Ascendant and the 10th House – Jupiter will be placed with Rahu in the 6th House. Moon is in Jupiter's constellation and Jupiter is retrograde in the release time chart. Mercury is conjunct Venus in the 11th House. 'Neerja' – the film's opening business is likely to be bright, but may not be as per the standards that other super hyped films may be doing! Though it is already known, Ganesha reaffirms that this movie will more about class than anything else. Impressed Audiences – the Natural PR Executives? Ganesha foresees that publicity by the word of the mouth will work like a magic factor for this film. The audiences are likely to enjoy a film with an gripping story and base. Due to the well-placed Venus and Mercury in the 11th House, this film is likely to have a lot of good performances. Even the expressions, emotions and dialogues in the film may have a good connect with the viewers. Winning Hearts, not the Moolah Race! This film is likely to remain in people's memory for its strong performances and storyline, but may not end up as a commercial blockbuster. 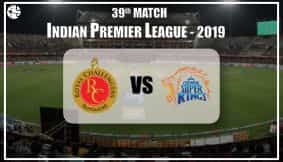 Ganesha foresees that it may not break some box-office records, as the Lord of the 10th House Jupiter is retrograde and placed with Rahu in the 10th House. Overseas business of the movie may remain average due to the placement of the Sun and Ketu in the 12th House and due to Saturn's position in the 9th house. Awards and Honours – Why Not! Ganesha feels that some of the categories of this movie may get nominated for some awards and may even win the top honours.